Like you, I have a lot of smart, witty, educated, and spiritually curious friends. At a very low point in my life last winter, a friend recommended that I read the book, “I am the Word”, and like many first time readers of this author, as I have since come to hear, I fell asleep almost every time I opened the darn book. 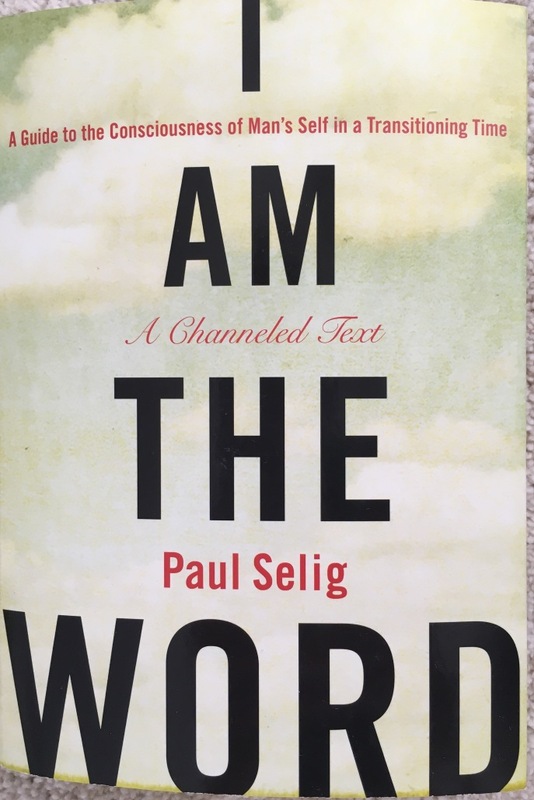 What I’ve come to understand, overtime and via meeting the author/channel (Paul Selig) in person, is that the book and the text holds a frequency that is so pure, of God, and direct that the reader has to acclimate to it. We all acclimate at different speeds and this is a-ok. This book, and all the books to follow, saved my life. Now please understand, I don’t worship anything. I’m not the “poster of a movie star” kinda gal, I don’t covet name brand crap, I frankly have not owned a TV since I was 20. So “out of the mainstream loop” would be a good title for me, in many respects. On the other hand, because I have not been marinating in Fox News, CNN, HBO, even BBC… I have fresh and in the moment perspectives on what is happening in the world, and as such, I can have compassion for how individuals are responding to the stresses of our planet. The “I am the Word” book cannot address nor justify why the Great Barrier Reef was just declared dead. But, it does address my consciousness, personally, around such events and how I can participate with more presence and be in my knowing as I move through my day. Sounds lofty. Read the book.